"I give out Dr. Goldmans cards all the time"
"Dr. Goldman is the best doctor I have ever dealt with. I have referred no less than 25 patients to his practice over the last decade and they are all beyond pleased with their treatment"
"After 2 years of infertility, I attribute my pregnancy to Dr. Goldman. My husband and I had seen a specialist and they did months worth of testing to simply diagnose us with "unexplained infertility". I left my old gyno to see Dr. Goldman (recommended by my sister). Within 5 minutes of a sonogram, the nurse saw a massive fibroid. Before I knew it, Dr. Goldman was telling me I'd need surgery. I was reluctant, but months later, I was undergoing a myomectomy with Dr. Goldman as my surgeon. Months after that, I had my post-op appointment, was given the ok to try, and now I'm finally pregnant without the need for IVF. I am so appreciative of Dr. Goldman! Aside from being knowledgeable and a gifted doctor, he is a wonderful person. He is warm and caring. He takes an interest in all of his patients." "dr. Goldman is very thorough. he spends time with patients which is great considering not many doctors do this and they rush"
"I LOVE Dr. Goldman! I've been seeing him for years and trust him immensely!" "Dr. Goldman is very thorough, friendly and caring dr. Always makes patients feel at ease. Very happy Dr. Goldman is now a part of Northwell Health." "Please commend Doctor Goldman for his care. His kindness, compassion, and care are above and beyond. He has always been there for us during happy and hard times. We love Doctor Goldman and recommend him to everyone looking for an OB/GYN. " "I love Dr. Goldman followed him from his other practice which was a nightmare, I don't expect this from Northwell Health." "I always recommend Dr Goldman to any one looking for an OB in the Huntington area"
"Dr Goldman has been my dr for 22 years. Ive recommended him to many friends over the years." "Dr. Goldman has been my doctor for 20 years he is great doctor!" "Dr Goldman is extremely personable and takes his time to understand my needs as a patient"
"Very good doctor. I have been a patient of Dr. Goldman for 30 years and I wouldn't go to anyone else." "We are grateful that you tended to us in emergency without previous appointment. Was very kind and we left calmer. " "Dr. Goldman is a wonderful, caring, personable care provider. He is very easy to talk to and friendly and has helped me in the past with a medical problem and, I feel, has changed my life for the better." "Dr. Goldman is compassionate and listens to his patient's concerns. He's dedicated to providing excellent care." "Dr. Goldman is patient, kind and comforting. He takes the time to listen and explain. He is a phenomenal doctor!" "Dr. Goldman is the best and I HAVE recommended a friend to see him." "LOVE DR. GOLDMAN! Been his patient for 15 years!" "Dr. Goldman is a wonderful doctor and a wonderful human being." "Dr. Goldman is THE BEST!" "I have been going to Dr. Goldman for over 20 years and he is the best - I cannot praise him enough." "If I could rate higher than 5 I would!" "Dr. Goldman is the most knowledgeable, kindest doctor. I'm so lucky to have him as my doctor." "Dr. Goldman is a wonderful, extremely caring and trustworthy physician. Been using him for the past 24 years." "The first question was about Dr. Goldman - I never saw him, much to my disappointment. I have been to this doctor for many years, and I did not go there to have an examination by a nurse practicioner. It was a yearly exam, I have had problems in the past. I was so taken aback that I forgot to ask about some concerns I had." "I guess it was not the best day for Dr. Goldman. Next time i will get the last appointment of the day to avoid messing up my schedule." "Dr. Goldman is a great physician. He is patient with my questions. I highly recommend him!" "Doctor Goldman's kindness, compassion, and care is truly shown through his work! Doctor Goldman is excellent, great bedside manner, and has helped me out a lot. Absolutely love Doctor Goldman!" "Dr Goldman is a wonderful doctor and very caring person. He is able to show warmth and be totally professional at the same time." "I adore Dr. Goldman. He truly is the best in his field. I had used him years back, and switched to another Dr. Closer to me. After needing a hysterectomy, I went back to Dr. Goldman. I am so happy I did." "Dr. Goldman listens..he spends time explaining and addresses your concerns." "I have recommended serval friends to his office"
"Dr Goldman is the best!" "dr Goldman is a wonderful dr"
"He is a caring, loving and supportive doctor. Easy to talk to and listens." "Dr. Goldman explained the surgery he will do in great care and detail. He is very compassionate." "Dr. Goldman is simply the best of the best." "Dr. Goldman has been my OBGYN for over 10 years. I followed him from his former practice. He is extremely knowledgeable and very thorough. I feel as though I have a complex medical history with regard to my OBGYN needs and I feel more then confident that Dr. Goldman has always and will always be able to address my concerns in the most appropriate manner. I truly appreciate the fact that when I requested that he speak with me hopenly and honestly with regard to my diagnoses and conditions he complied with my request. He understands that I have a bit more then the basic understanding of the complexities of medicine and he treats me as an equal. It is very difficult to find a physician of such high caliber that also has an impeccable bedside manner, but Dr. Goldman has always managed to do both. OBGYN is a difficult specialty, mainly for the patient. It can be an uncomfortable type of visit but I always go and leave knowing that I was cared for by one of the top physicians on Long Island and in my opinion, one of the best in the country." "Ted Goldman is the greatest doctor I have EVER had, and having had 16 surgeries, that says it all!" "I have been recommending Dr. Goldman for over 20 years"
"Dr. Goldman is a great physician. He makes sure that all of my questions are answered before the visit is over." "Dr. Goldman has been my gyn. for >23 yrs. His explanation and treatment of my symptom seem to have been right on target - symptoms are gone (after reduction in medication dose and addition of vitamins as recommended). " "Dr. Goldman is a caring, professional and knowledgeable provider who takes the time to meet each individuals needs." "Love new office. Dr. Goldman has always been a caring doctor no matter what your visit pertains to. A true professional with a lot of knowledge." 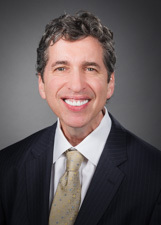 "Dr. Goldman continues to show care & concern for his patients. He is a genuine asset to Northwell." "Dr. Goldman is an exceptional physician. I have all the confidence in the world in his treatment and care. #9. Excellent. " "dr Goldman is the perfect doctor. he is knowledgeable and compassionate. he is very easy to talk to, explains everything in layman's terms and never rushes you out." "Dr Goldman is an incredible doctor. Very knowledgeable and makes one feel very comfortable during there visit." "dr Goldman always puts me at ease. he is friendly and easy to talk to"
"Dr. Goldman is the greatest!!" "Dr Goldman is the BEST!! So kind and caring besides being an amazing doctor!!" "Dr. Goldman is a wonderful doctor. " "Doctor Goldman is excellent! " "The MD is very smart - knows his stuff - easy to talk to - takes his time & doesn't rush you." "I am very happy with the provideyes I will recommend to others." "Dr. Goldman is simply the best. I would never go anywhere else. I have nothing but the utmost confidence in him." "Dr Goldman is aware that I am hard of hearing . He made sure that I understood him . Dr Goldman is an excellent surgeon, compassionate doctor , fantastic communicator and has a beautiful new office in Commack , NY."